Considering I am a lover of beauty it was to be expected that I would be getting a few make-up bits for Christmas. One of the pieces I received was the Urban Decay Shattered Face Case. From the moment I opened it I knew I was going to love it. There is two parts to this case including 5 eye-shadows, 2 Blushers, a highlighter, a lip colour and an eye pencil. The colours in this palette are perfect for a soft look or a dramatic look and has everything you need in one handy little case. 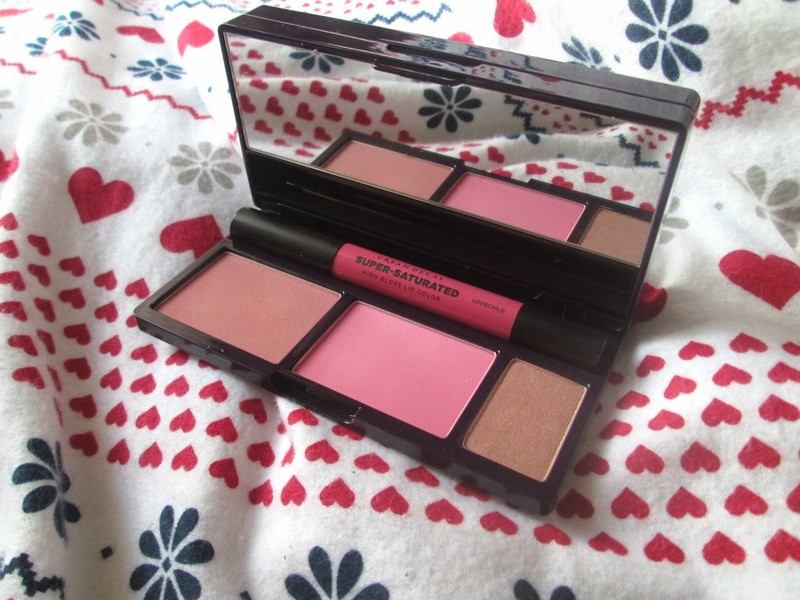 I am not the greatest blush fan as I already have reddish cheeks so a lighter blush would have been handy but other than that this is the perfect palette if you are in a rush while getting ready. It is also small which means it's perfect for packing in your bag when going out. Have you tried Urban Decays Shattered Face Case? If so what were your thoughts? This looks really cool! Amazing for traveling!